Blame it on the Zayn. Former One Direction member Zayn Malik grabs his first solo #1 on my top 40 with “Pillowtalk”, up 2-1 this week. That song is taken from the album Mind Of Mine, which recently entered atop the Billboard 200 and similar album charts in the world, including Australia, Canada, New Zealand, Sweden and the United Kingdom. Malik’s last #1 as a member of the boy band was “Story Of My Life”, which spent three weeks at the top of my chart in December 2013. Two newcomers make their chart debut this week. The highest is from Los Angeles singer Chris Ayer, who bows in at #37 with “On The Blvd”. He’s currently on tour with Matt Simons in Europe, and I’m sure he’ll be playing “Blvd” quite a bit in concert. The song does have a fair amount of road to cover before it reaches the biggest “boulevard” title ever on my chart, “Boulevard Of Broken Dreams”, a seven-week #1 in 2004 and 2005 for Green Day. Do you recall a song by DJ/producer Zedd called “Addicted To A Memory”? Released in 2015 on his True Colors album, it featured a California trio that’s now looking to launch a big summer sound at CHR/Pop radio in a month. They’re Bahari, and they debut at #40 with “Dancing On The Sun”. The group consists of Natalia Panzarella, Ruby Carr and Sidney Sartini. “Sun” was co-written by the girls and Rock Mafia. Bailey Rae’s been away for some time, but it’s great to have her back. Her forthcoming set is The Heart Speaks In Whispers, due to be released on May 13, and “Stop” is one of two singles to be issued from the project so far. (The other one is “Green Aphrodisiac”, a top 30 hit on the Urban AC chart.) The Grammy darling may not have another “Put Your Records On”, but her music is still cool. What happens when another song called “Colors” charts at multiple formats before your own song does? Well, if you’re this singer from Chicago, change isn’t necessarily a bad thing. “Show Your Colors”, as it’s titled currently, is still putting up decent numbers at the various streaming services. A remix was also heard in a Hershey’s ad recently. Will that translate into some sweet airplay here? I’ve covered this band several times in the past, and each time I do, they seem to go down a member. They appeared as a quintet in August 2014 when I wrote about “Moment Goes”, then as a quartet when I covered the release of “Not” in March 2015. I guess this means it’s only fair to have them here as a trio! It’s been a long time coming, but it’s nice to finally see them get a shot at radio play. At just 18 years old, this producer, based in Norway, has accomplished a lot as a teenager. “Faded” has been a Gold or Platinum hit in over a dozen countries, and it’s achieved a #1 peak in countries like Austria, France, Germany, Italy, Sweden and Switzerland. An absolutely Viral success at 200 million streams on Spotify alone, this has all the makings of what should be a solid hit this summer. The duo of Aluna Francis and George Reid are best known for their featured vocal on “You Know You Like It”, which reached #7 at the format for four weeks last year. “Control” has been building nicely at streaming services since the beginning of the year, and an assortment of stations on the panel in both large and small markets have added the song pre-impact. It’s one to watch for summer. Already surging onto the pop radio chart, thanks in part to iHeartMedia hourly spins on Friday, Derulo’s latest single at the format follows two releases (both from his Everything Is 4 set) that couldn’t wait to peak in the top 20 and crash hard soon afterwards. As expected, that era appears to be over, but a fifth album announcement from Derulo has yet to surface. Will it come later this year? Yes, the promotional run for “Work” is done. Yes, that means you can stop making YouTube videos in an attempt to poke fun at its lyrics, which are difficult to comprehend to many people. (Really, guys, don’t we have better things to do?) “Kiss” is already kissing playlists from coast to coast, and it should chart in the next few days. Her Anti world tour continues its U.S. run through mid-May. Remember when we had a surge of acts from New Zealand a few years ago? This brother-sister duo from the city of Nelson was an essential part of those imports, charting two songs on Alternative radio in 2014. An album, Evergreen, did well in their homeland, but it couldn’t quite match that #1 peak there on our chart. “Free” leads an exciting second era, and there’s certainly more to come. Fredericks’s first EP under his major label deal was released late last year, so it seems a little peculiar that the label would wait this long to launch a single from it to radio. Anyways, this former The Voice winner, who just celebrated his 17th birthday, fits perfectly at Triple A radio with his sound and image. However, some may think this tune is a little too poppy here. We’ll see if they “Take” it. Rexha’s featured credits have given her several big pop radio hits in the last few years, but only one minor entry as a main-credited artist. That will hopefully change this summer with this Minaj-assisted single, taken from her upcoming studio album. Of course, it helps that the two women have collaborated together on a hot single in the past. However, will lightning strike twice for the ladies? Former Idol champ Fradiani seems to have lost a fair amount of momentum following his win last year. Even then, “Beautiful Life” was barely a top 40 hit at CHR radio, which was thanks to an assist by the group of Cumulus Media stations on the panel. His latest single is even better than “Beautiful”, but with a delayed impact date beyond the show’s series finale this week, it might be too late. 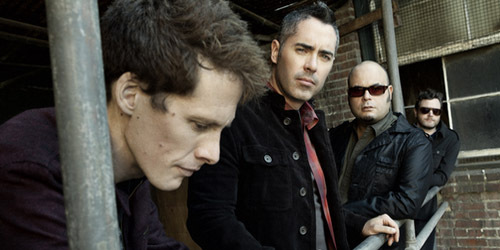 It was back in 1994 that “Undone (The Sweater Song)” made it into the top ten on the Alternative chart, giving this group their first of 24 top 40 hits at the format thus far. Their most recent was “Thank God For Girls”, which hit #10 a few months ago. Predictions thus far for their latest album suggest it’ll debut in the top five on the Billboard 200, giving them a total of six to reach that region. Well into the top 20 on my chart is another great single from this Canadian-based musician, who released a self-titled EP earlier in 2016. He went to #1 on the Alternative chart up north with “Shine A Light”, which didn’t shine as brightly here. (I’m still upset over it!) Luckily, Mike Nelson is getting another shot to break the U.S. charts. Go ahead and “Riot” if this track doesn’t become a big hit. This is the first time at the format for this British singer/songwriter, who recently released an album titled Long Way Home. She’s done some great numbers at Spotify, where this single recently surpassed four million streams, but her first full-length set has just been a moderate success in some overseas territories. It’s too early to tell if the push is premature, but it’s a good song for Hot AC. As far as underrated Alternative radio singles go, this quintet definitely has one of them. Last year, the title cut from The Sunshine Of Your Youth only received some minor airplay. This one could go the same way, but I really hope it doesn’t. The Philadelphia act is on tour with one of our blog favorites, Paperwhite, as they hit up the Northeast and Mid-Atlantic states in the latter part of May. It took months of pushing and prodding, but both CHR and Hot AC radio were able to make “Cake By The Ocean” a top ten success for the Joe Jonas-led band this year. Now, their follow-up single heads to the former format this month. Both singles are taken off the EP SWAAY, which peaked at #51 on the Billboard 200 chart. Though “Cake” should be a strong recurrent, this could do nicely. You saw “Missin'” when it debuted on my personal chart this past weekend, and now, the Arizona quintet looks to conquer the pop airwaves with their first single at the format since 2013. Three years ago, it was “Boomerang” that stalled underneath the top 50 in the spring and summer months, despite some solid coverage from iHeartRadio at the time. How set will radio be for this summer? It’s been nearly three years since Odell released his Long Way Down album overseas, a set that wasn’t properly appreciated on the U.S. charts. Unfortunately, it happens to a lot of performers, regardless of whether they’re domestic or not. “Wrong Crowd” is set to be released today, per his social media accounts, but that won’t be the radio single here. Hey, more music is always a good thing. 25-year-old Andrew Biersack has been the leader of Black Veil Brides for many years now, but the time has come for him to take an adventure as a solo star. His recent Spotify Viral chart-topper in the U.S. does its “Dance” at radio later this month. It’s Alternative radio that will hear this track first, a change for Black, who is more accustomed to an exclusively Active Rock crowd with the group. A decade after this act first formed, the duo of Caroline Polachek and Patrick Wimberly has scored major syncs and built up plenty of buzz, but they have yet to score a radio hit. Their newest album, Moth, has plenty of jams, and “Romeo” is one of the top cuts of the bunch. This may be a good indicator of whether their stats can get them strong airplay, or if they continue as a streaming band. It’s good to be “King”. Sometimes, it’s hard to believe that it’s been just under 22 years since these Alternative mainstays first made that format’s chart with “Undone (The Sweater Song)”. Now, they’re up to two dozen top 40 hits. Very impressive! So far, two radio singles from the album have been released: “Thank God For Girls”, which reached #10 in February, and “King Of The World”, which sits below the top 50 at the moment. They have the top-selling single in the U.S. with the multi-format smash “7 Years”, and now, the Danish quartet is looking to score a nice debut next week with their self-titled set. The 11-track album features songs from their two previous albums, both self-titled, that were released in Europe in 2012 and 2015, respectfully. We’ll see you next week for new releases from Deftones, Mayer Hawthorne, The Lumineers and more. She’s the former lead singer with Eden’s Crush and the Pussycat Dolls and she’s had some decent success as a solo act over in Europe. Her album Killer Love produced several hits there a few years back. Her latest song was co-produced by will.i.am. 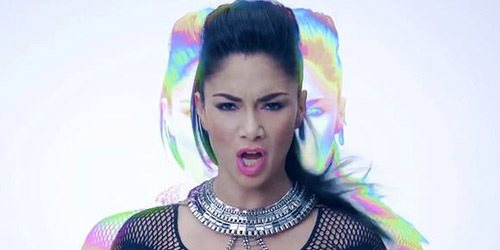 Scherzinger’s song and music video premiered in late January, while a digital download was made available in early March. Though the song went top ten in Ireland, Scotland and the United Kingdom, it generally didn’t perform well anywhere else it was released. No album followed it, but she is in the process of recording one, which could be out as she judges on the tenth season of the U.K.’s version of The X Factor, which will likely return at the end of August. Scherzinger’s solo run in the U.S. never took off besides some minor airplay, so don’t expect this one to get promoted here. Look for more information on new music from Scherzinger, including a music video for an Italian single with Eros Ramazzotti that will premiere next month. We’ve loved them for over two decades now as they climbed the charts with hits like “One Week” and “Pinch Me”. Their latest album, their first in three years, is titled Grinning Streak and it’s their second without founding member Steven Page. However, the band has soldiered on and looks to have produced another solid album full of goodies. It’ll be in stores next week and I’ll be picking up my copy. I did a review of the song back in March when I first heard it, which you can view here. (Hint: I really like it.) It was co-written by band member Ed Robertson and Zac Maloy and went to AAA radio in the U.S. earlier this month. The song is doing well in the group’s native Canada, where it’s approaching the top ten on their Adult Contemporary chart and is just below the top 50 at Hot Adult Contemporary radio. It’s been added to handful of stations here in the U.S., but not enough to make a significant impact yet. However, it’s just getting started, so stay tuned to hear it on your local station. Download BNL’s “Boomerang” on iTunes. This quintet is originally from Scottsdale, AZ and have been together since 2007. They’re now with their third label, Fearless Records, which is known for housing other alternative and independent acts like Breathe Carolina and Mayday Parade. The group recently competed in a contest sponsored by Macy’s for the chance to win a performance spot at the third annual iHeartRadio Music Festival among two dozen other acts. Pop duo Megan & Liz ended up as the winners last year. Well, it turns out that they indeed won it. Congrats guys! That’ll be taking place in mid-September. In the meantime, this single of theirs went to CHR radio back in April and has about 20 stations on it thus far, including one of the top stations in Chicago. It may be sticking around as the label looks to boost their presence on the airwaves in anticipation for their gig in Las Vegas. We shall see, but the song’s catchy enough to be a summer hit. 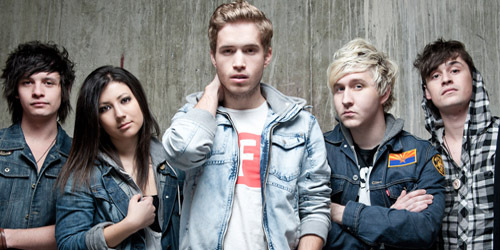 Check out a preview of their forthcoming music video. Download Summer Set’s “Boomerang” on iTunes. From Los Angeles, this 23-year-old singer has been recording since 2007 when she was still in high school. She’s been involved in a lot of charity efforts in her time in the industry. She’s been in lucky in that she’s been able to place songs on the soundtracks to many movies during this time, including Shrek Forever After and The Twilight Saga: Breaking Dawn. One of her songs is currently being used in the film What Maisie Knew, which had a limited opening a few weeks back. This time around, her composition is being featured on the new Netflix-only season of the once-cancelled FOX show Arrested Development, which just debuted on the service yesterday and has already received a ton of buzz. 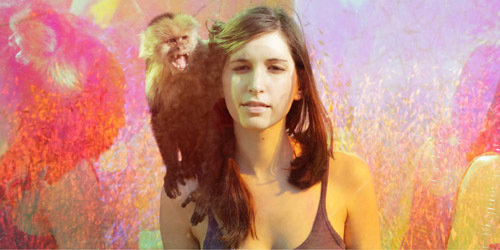 This is Schwartz’s first single not to be independently released by herself, which is true of her first two albums and EPs. Instead, she’s opted for a deal with Red Light Management for airplay purposes. Schwartz’s song is being serviced to AAA radio on July 1. Her album, Timekeeper, is out in stores on August 6. Download Schwartz’s “Boomerang” on iTunes. Just in case you were wondering, only two songs with the word “boomerang” in them have hit the top 40 on the Hot 100 since its 1958 start. In 1962, Charlie Drake went to #21 with “My Boomerang Won’t Come Back”, and in 1965, Jr. Walker & The All-Stars got to #36 with “Do The Boomerang”. I also liked a 2011 single by the Plain White T’s called “Boomerang”, but nobody really remembers that one. Maybe you’ll remember one of these songs listed above a little more. Which one of these four “Boomerang” songs is your favorite? Let me know! Comment below or find me on Twitter: @AdamFSoybel.